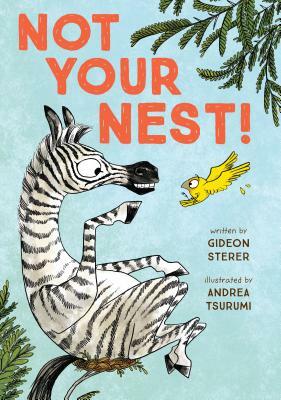 A hilarious and oh-so-honest look at the art of sharing, from two rising picture-book stars. Bird is just about to put the finishing touches on her new home when she suddenly finds that her nest is already full--of someone else. So she reluctantly builds another nest. But Fox finds this new nest quite comfy, and Brush Hog loves the view from Bird's next attempt. Soon the Acacia tree is bursting with happily nested animals of all shapes and stripes--everyone except bird! Gideon Sterer is the author of Skyfishing and The Night Knights. He lives in Brooklyn, New York. Andrea Tsurumi is an illustrator, cartoonist, and the creator of Accident! She holds a English BA from Harvard and an MFA in illustration from the School of Visual Arts. Andrea lives in Philadelphia.